Medical infographics are the trickiest to make on your own, especially for presenters. 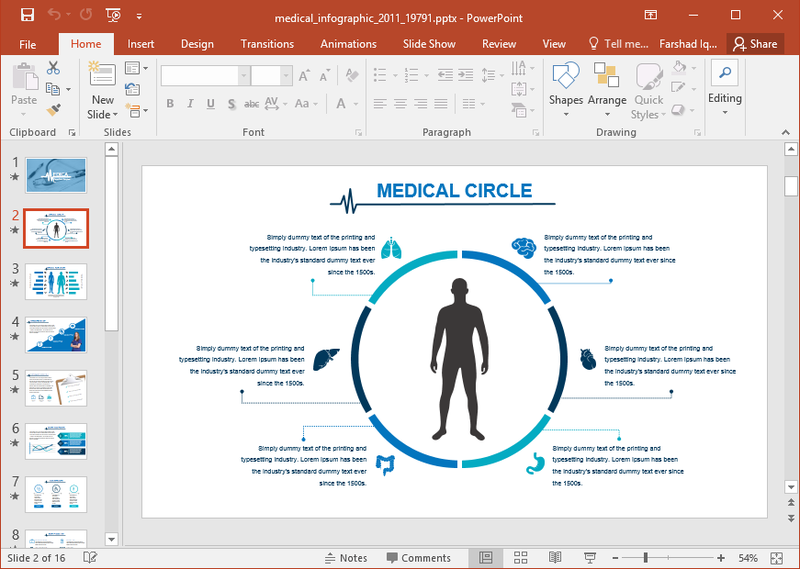 This is because making infographics might require some expert level PowerPoint skills, as well as the need to organize various parts of the human body organized in visual format to elaborate upon different types of organs, diseases, remedies, etc. 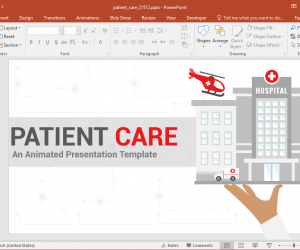 If you want an easy to use template for making medical infographics, then we have an Animated Medical Infographics Maker Template for PowerPoint that might just be what you need. 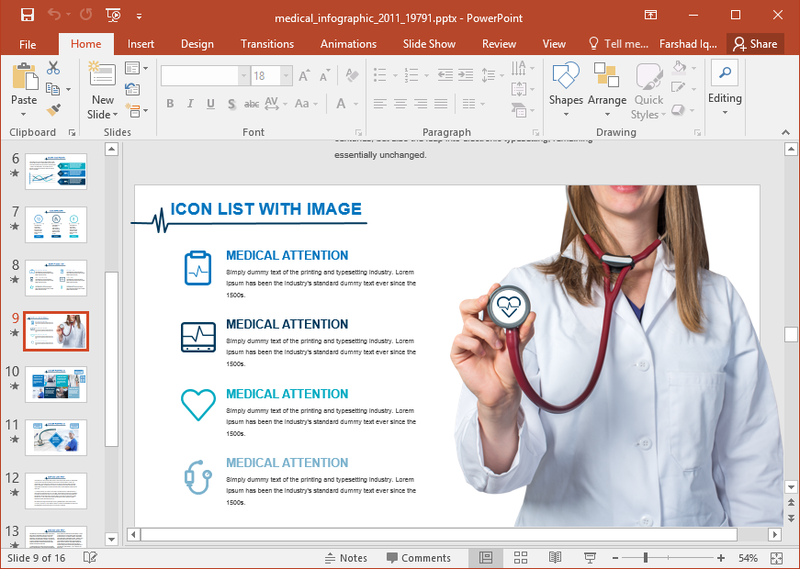 This template contains some very interesting layouts that are easy enough to manipulate for making your own medical infographics with ease. For example, the diagram below presents a male and female silhouette, with various icons defining different organs of the human body. 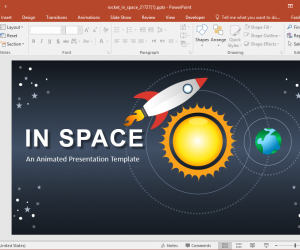 Tied to that are bars which can be dragged to increase or decrease their size in PowerPoint. 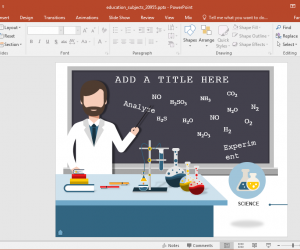 You can also add text-boxes to define each organ or information related to it; as well as make use of the two place holders on each side of the slide which are meant for adding subheadings. 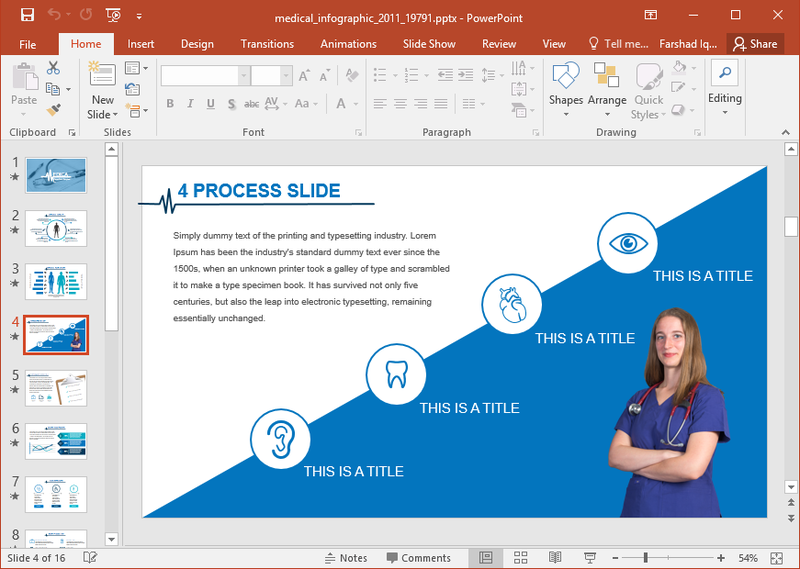 The human anatomy themed sample slides in particular can be very helpful in making presentations about biology, medical science in general and even to provide patients with reports related to their medical condition for ease of understanding. 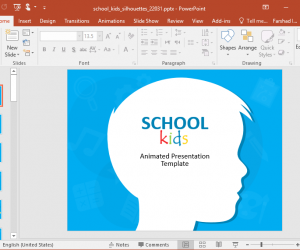 There are a plethora of layouts that can help you create infographics, standalone diagrams, content slides, picture slides, etc. 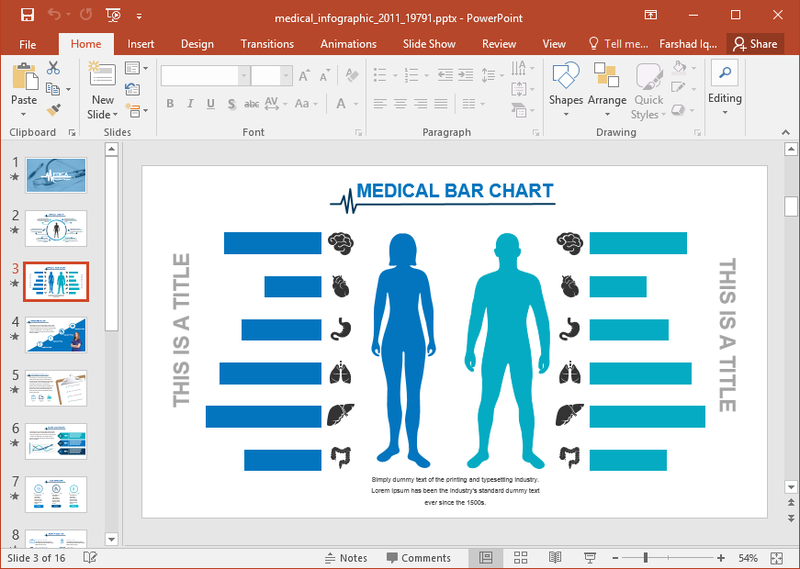 You can make use of these medical layouts for quickly making medical infographics and presentations. 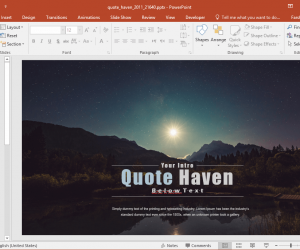 Furthermore, you can also add or remove slide objects and insert your own content to customize the editable slides as needed. 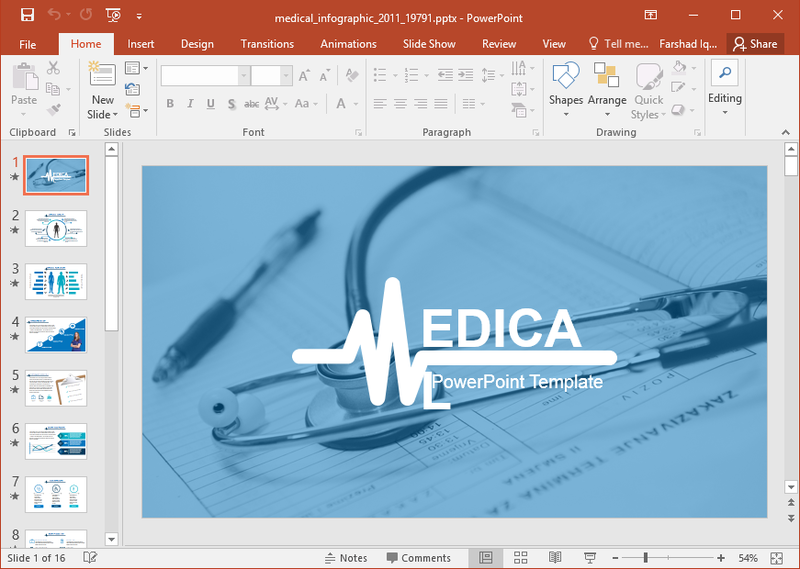 Whether you are a medical student, doctor, or a medical equipment supplier, you can use this template to present anything from patient history, academic presentations, project proposals, etc. 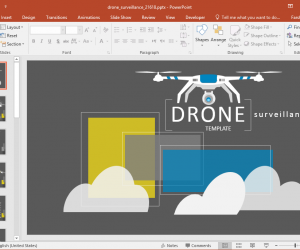 Since the slides are quite generic, you can easily mould the various layouts according to your specific requirements.